Alex has been part of APN Property Group as the Fund Manager of APN Industria REIT since April 2016. Alex has more than 16 years of experience across all the key areas of real estate funds management, including asset management, leasing, capital transactions, corporate finance and investor relations. Alex’s previous roles have been across multiple property sectors at Investa Office, Stockland and Halladale (United Kingdom). His achievements range from delivering Investa Office Fund’s strategy of selling offshore assets and reinvesting proceeds into the domestic market to establish a high quality portfolio of Australian CBD Office assets generating attractive risk-adjusted returns, to managing a suite of funds in the UK from 2006 to 2010, a period of rapid change in real estate markets. He holds a Bachelor of Commerce from the University of Newcastle and an Advanced Diploma of Financial Services. 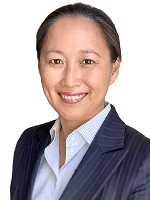 Linh has over 13 years’ experience in the property industry. 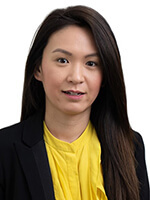 Prior to joining APN in February 2019, Linh worked in property funds management with ISPT and Australian Unity and portfolio management with Vision Australia. Her extensive real estate experience covered various senior roles including Asset Manager, Investment Manager and Head of Property. Managing portfolios in excess of $400m in retail, industrial and commercial sectors across Australia, Link also managed the valuations process for $9b of assets for ISPT and transactions totalling $800m. Linh holds a Bachelor of Business (Property) from RMIT and holds an Agents Representative Licence. Gordon has over nine years’ experience in the property industry across retail, office and industrial sectors, working across funds management, corporate advisory, investment management and investor relations. 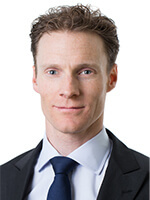 Gordon joined APN funds management in August 2016 with previous roles at Federation Centres (now Vicinity Centres) and within equity research at Credit Suisse. 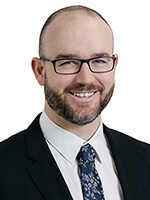 Gordon holds a Bachelor of Management Studies (1st Class Honours) from the University of Waikato and a Master of Commerce from the University of New South Wales. Jessie has extensive experience across financial reporting, internal controls and external audit, and leads a team that is responsible for accounting, taxation and treasury across all managed funds at APN Property Group. Prior to joining APN, Jessie’s professional career includes over eight years at Deloitte where she provided assurance and advisory services to a range of ASX listed, multinational and boutique wealth management companies reporting under international accounting standards. She holds a Bachelor of Commerce/Media & Communications from the University of Melbourne, and is a member of Chartered Accountants Australia and New Zealand. 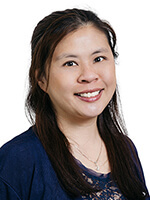 Shirley has been with APN Property Group as Senior Fund Accountant since December 2013 and has more than 15 years’ experience in financial reporting, taxation, internal control and external audit. Prior to joining APN, her professional experience includes eight years with PricewaterhouseCoopers and Ernst and Young across financial services, manufacturing, retail and construction. She is a member of Association of Chartered Certified Accountant and Chartered Accountants Australia and NZ.